The Austrian ski resort of St Anton sits in the Arlberg region. Although St Anton is perhaps the best known of the resorts you’ll find within this mighty skiable domain, there are many smaller ones sharing the same terrain and access between each one is generally easy. 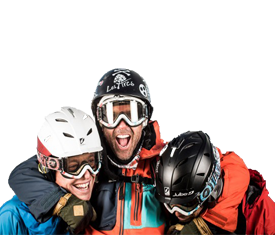 These resorts include St Christoph, Stuben, Lech, Oberlech and Zurs. The ski area in its entirety offers over 280 kilometres of groomed pistes to explore and in good snow, the lift-served off piste round here is spectacular. St Anton is a resort which prides itself on the quality of its piste grooming and for those keen to experience fresh corduroy it is well worth getting up in the morning to catch first lifts – the pistes are quieter and a sheer joy to explore in peace. The chairlifts, gondolas and telecabines skiers find in Austrian resorts like St Anton are also most impressive, so the lift pass prices do represent good value for money. The Austrians spent, and continue to spend, enormous sums of money keeping up with ski lift technology and it’s really noticeable when compared to France, Italy and Switzerland. For example the Galzigbahn is one of St Anton’s primary gondola lifts and of all the lifts out of the resort, this one sees the most skier traffic. To match demand and keep things moving swiftly, the Galzigbahn’s cabins come off the cable and are lowered to ground floor level by a modern Ferris wheel mechanism for skiers’ easy access, before rejoining the cable and whizzing off up the mountain side. 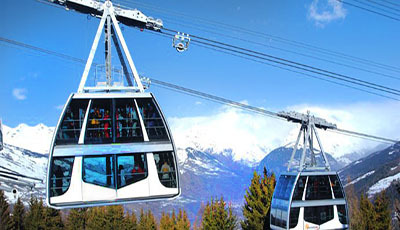 This, coupled with a carrying-capacity three times larger than previous generation gondolas, demonstrates the impressive nature of the lifts in this area. All these lift pass offers are reserved for new bookings only (as of 26/05/2015) and cannot be added onto existing bookings, as per the operator terms and conditions. Found 143 results matching your search.